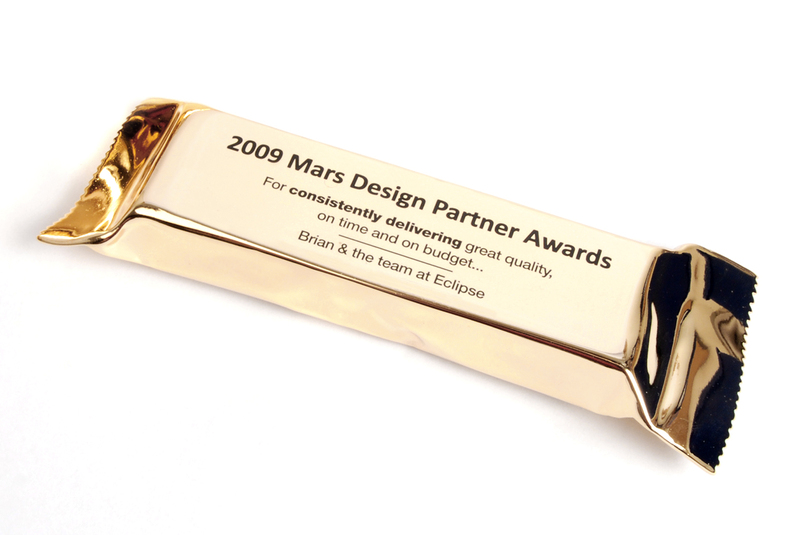 Golden mars bar awards designed and produced for Mars R&D Chocolate Innovation’s annual prize giving ceremony. Like most large companies, Mars have a network of consultants and contractors that support their internal team. In 2009, individuals and companies that had provided outstanding support during the year were to be rewarded with custom, personalised awards. Whilst working at Kinneir Dufort. I took a rapid brief to create “something really cool”, which also had to be feasible to manufacture at a moderate cost, and delivered within a rapid timeframe. 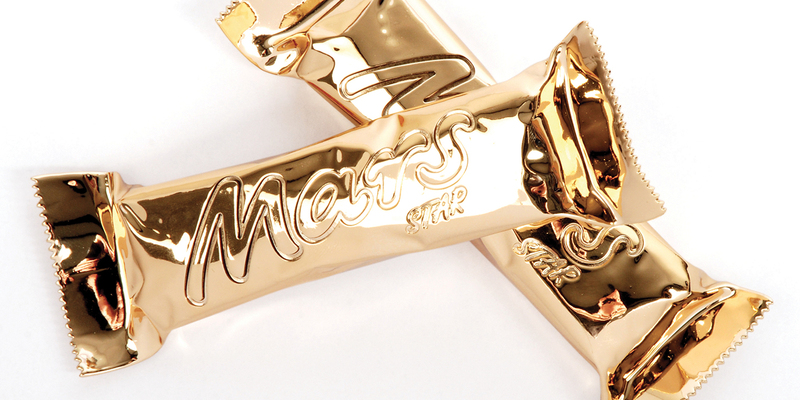 After a range of concept sketches were presented, I designed and coordinated the manufacture of six golden mars bars. Making a silicone mold around a real Mars bar meant we could cast the first bar-shaped plastic part. 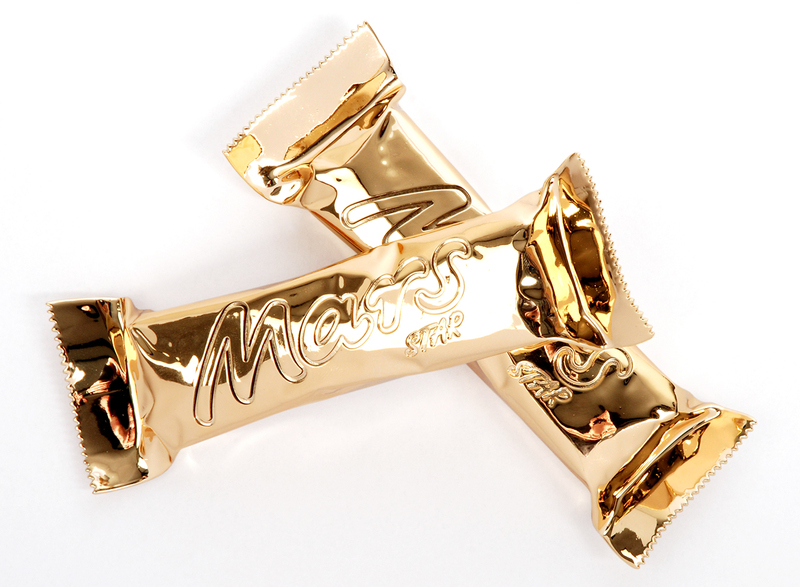 To which the Mars bar logo was cut into using a CNC machine, and the thin, vulnerable areas were reinforced with model filler. From this master part, a second silicone mold was made, which enabled 6 bars to be produced. 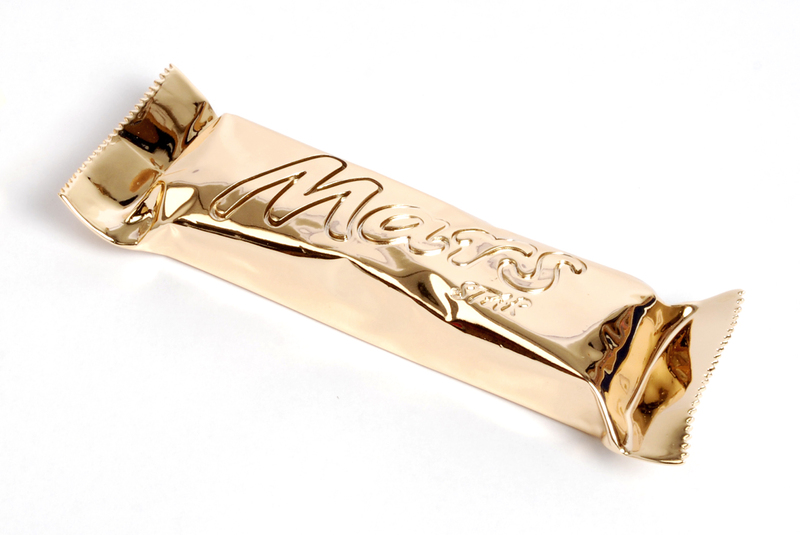 The gold coating was then added by process of vacuum-metalising and the personalised name and message on the reverse side.